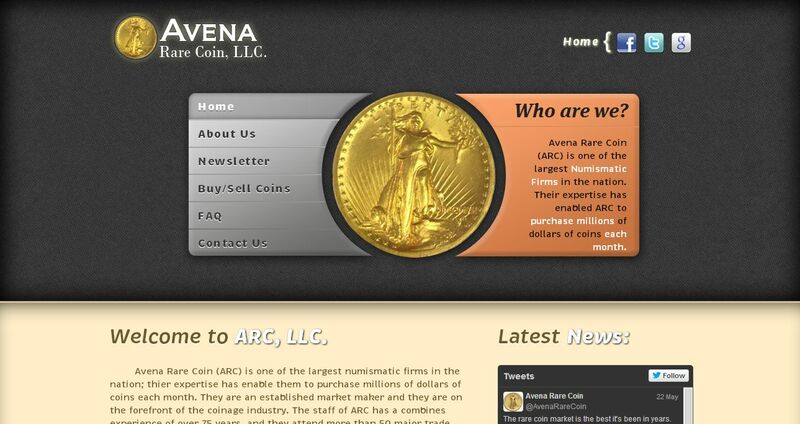 Avena Rare Coin address, phone, website, and more. Avena Rare Coin (ARC) is one of the largest Numismatic Firms in the nation. Their expertise has enabled ARC to purchase millions of dollars of coins each month. As the U.S. rare coin industry evolved and matured, so did Avena Rare Coin. They are an established market maker and the staff of the firm is daily at the forefront of the coin industry. The staff of ARC has a combined experience of over seventy-five years. ARC representatives attend more than fifty major coin shows and auctions each year. Their constant presence allows the company to keep abreast of the Numismatic Industry. ARC is a member of Dealer-Linking Teletrade Systems that keeps the company informed of market development and provides their customers with the highest quality coins at the best possible prices. Staff members’ professional memberships include the A.N.A., P.N.G. and numerous other regional numismatic societies.